If you are a movieworm ( I made up this word from bookworm, sounds awesome right? 😀 , OK! whatever), moviegoer and if you are in Chennai or Coimbatore and if you like to watch movies only in Satyam Cinemas, this post is definitely for you. For the rest of the world, You can see a small red box with a ‘X‘ mark on it at the top right corner of the screen. Click that and back to work. No Facebook !! OK! where were we. Oh yes !! the untold secret. Satyam cinemas has a fuel card thing that’s kinda rechargeable card. It cost just x=100/2, Find ‘x’ 😀 ( Woohoo !! finally I used algebra in my life) . Go to the theatre, fill up the form, recharge it and you are done. 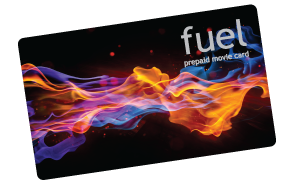 The secret is that when you book a movie from this particular card there is no service charge, awesome right? You can save up to 30rs per ticket. Wait I am not finished, online booking will cost the service charge but they is always another way. Just pickup the phone and dial 044-4224-4224 (it’s not toll-free, but it wont take more than 5 mins to book). Say the movie name, and if you are in front of the screen you can choose the seats like “I want to book B4,B5”. Trust me I have done this and it worked 😀 . The card can be recharged online, once you receive the 16 digit card number and the 4 digit PIN number. Have fun watching movies in Satyam Cinemas! !